Anping Tenglu Metal Wire Mesh Co.LTD. 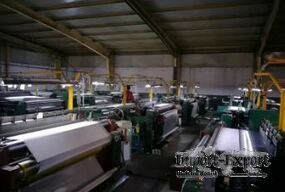 is located in Anping County, Hebei Province, the famous Chinese industry base and the township of wire mesh. We are a professional wire mesh company, which mainly produce stainless steel woven mesh, square wire mesh, dutch wire mesh, stainless steel ultra-thin mesh, reverse dutch woven cloth, five-heddle dutch woven cloth, sintered wire mesh, crimped wire mesh, stainless steel printing screen, stainless steel security screen, knitted wire mesh, stainless steel wire, nickel wire mesh, brass wire mesh, black wire cloth, epoxy wire mesh, stainless steel welded mesh, shale shaker screen ,steel frame screen, wedge wire screen, water well screen, wave type screen,balanced belt, spiral conveyor belt, ladder belt, double spiral belt, sani grid belt, wire ring belt, flat wire belt,compound balanced belt, filter elements, filter disc and filter tube. We win customers at home and abroad with excellent and high-quality products and service.